If you spend time lurking artists on Instagram or Facebook or are an artist yourself, you may have seen #artvshero going around. The hashtag started with students of SVS Learn, which was founded by Jake Parker and Will Terry, and is a way for artists to see how they stack-up when surrounded by their art heroes. An artist places their work in the center of a 3-by-3 square grid and literal surrounds their work with the artwork of their influences. I first found-out about this creative exercise on the fantasy/independent artist podcast One Fantastic Week when hosts Pete Mohrbacher and Samuel Flegal had Will Terry as a guest. And I spent some time thinking about it, I found that I'm as influenced by collaborative arts like stop-motion and film design as I am by individual artists and if you've followed any of these artists, there's a through-line, between many of them. Rednose Studio (an independent artist), Brian Froud, Rankin/Bass Productions, Laika, myself, Tony Diterlizzi, Jim Henson Company, Brom, and Dave McKean. I try to take little bits and pieces of inspiration from all of these wonderful artists with myself acting as a filter. This is by no means an exhaustive list of artists that have influenced my work- I also draw inspiration from many, many more fantastic artists. 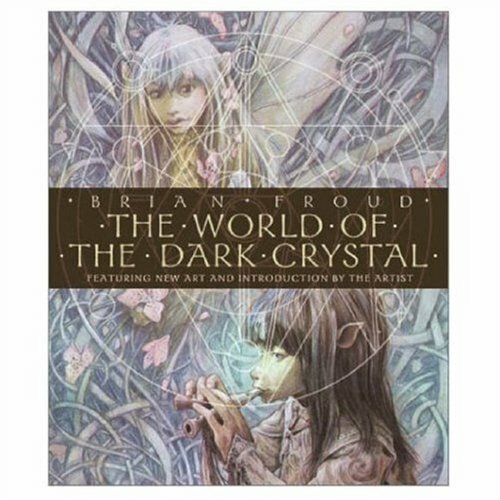 Brian Froud worked with Jim Henson films to design the characters for Labyrinth and the Dark Crystal and I know these films were hugely influential on Tony Diterlizzi as early in his career he dreamed of working for Jim Henson. Rankin/Bass produced stop-motion films throughout the 1960's and 70's and it would be easy to see their work informing later animation studios like Laika or the work of Rednose Studio. I love the work of both Rednose Studio and Dave McKean because they've both shown themselves to be near limitless in their process to visually story tell. I also owe Rednose Studio a debt of gratitude for raising the bar for dimensional-illustration! There have been traditional photographed three-dimensional picture books in the past, but they had the unfortunate ability to be unintentionally unnerving (a college friend had showed me a "Goldilocks & The Bears" picture book from decades ago that was nightmare inducing). To be the first to know when I launch new polymer clay art videos, be sure to subscribe to my YouTube channel and hit the bell icon (but because YouTube's wonky, you can also join the newsletter). Catch all of my videos here: https://www.youtube.com/thedreamsyndicatearts. You can also find many of the supplies I use in crafting here: https://www.thedreamsyndarts.com/supplies-gear/. Until next time, make believe! 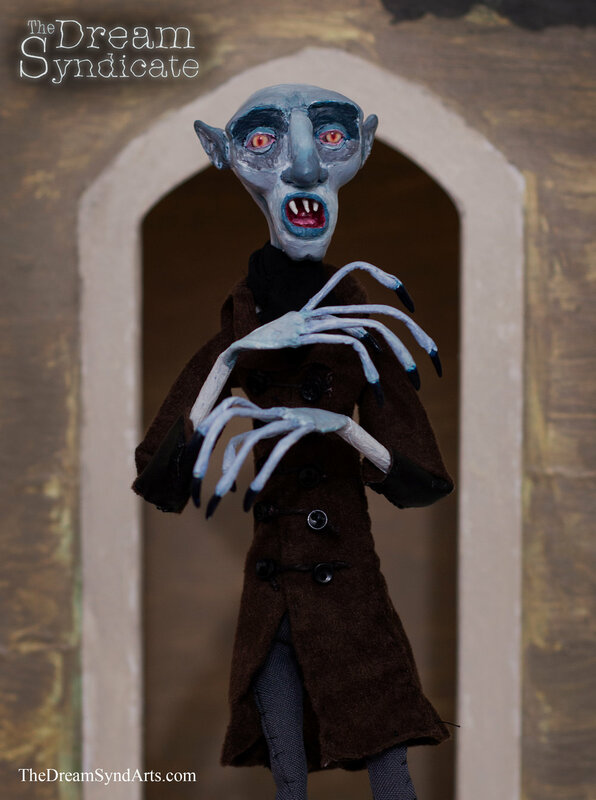 In this part of the process of making a St. George art doll, the poseable doll's made from a variety of mixed media. Most of the materials your as likely to find in a hardware store as you are an art supply or hobby shop. The armature consists of twisted aluminum wire, aluminum tubing in the neck and used at the forearms, a length of steel wire to give the figure stability and allow it to anchor into a set or display base, and plumber's epoxy. The body's massed-out with upholstery foam and then clothing's sewn around the art doll. An art doll's neck doesn't need to be reinforced with the aluminum tubing, you can typically just drill right into the clay if you'd like, but the way I design my characters, I like them to have thin necks because that's the way I tend to draw figures- I like lanky, gawky, attenuated characters. If I were to make a character's neck as thin as I do without putting in the tubing and drill into it, the backed polymer clay would likely crack and crumble around the drill bit. Once the aluminum and steel wire are all twisted into place, they're secured with plumber's epoxy that's molded into a form to create a cylinder shaped chest and smaller oblong cylinder for the pelvis, which all takes about an hour to set (if you were handling the plumber's epoxy more vigorously, you might want to give it a day). From there, I use the figure's contours to sketch-out a front and back form out of the upholstery foam and cut it out with pair of scissors. These front and back pieces get attached to the plumber's epoxy with a resin based epoxy. Lastly I sketch-out the amount of fabric I'll need to sew the clothing, leaving a bit of a seam allowance. Ordinarily, it's a good idea to use lighter weight fabric, but for the look of the chain-mail armor, I used a heavier upholstery weight fabric that was kind of a pain to work with. The process of making St. George art doll probably took a couple of full work days, not including the time I spent sketching-out details or gathering materials. If you want to make the imaginary a reality, be sure to subscriber on YouTube! If you want to be the first to know when I launch new polymer clay art videos, be sure to subscribe to my YouTube channel and hit the bell icon (but because YouTube's wonky, you can also join the newsletter). At present, I am launching new videos Saturdays at 2pm EST and I will keep this information up-to-date on my YouTube channel's banner and "about" section here: https://www.youtube.com/thedreamsyndicatearts. When sculpting St. George, I wanted a younger interpretation of our hero. Just about every time I'm sculpting an art doll, I begin with sketches and for this piece I did a few quick studies from teenage aged boys- some of the reference pictures came from Google image searches and some from this great book of Norman Rockwell's depictions of childhood. I also spent spent some time looking at prior depictions of St. George in medieval and renaissance art. I wanted to capture a sort of frightened, panicked expression and I was somewhat thinking of Kevin McCallister from "Home Alone", you know, the shaving cream, "Aaahhhhhhhhhh!" scene. My idea for the finished piece of art is to create an image that references the legend of St. George and the Dragon, but to also convey the concept that the dragon isn't nearly as threatening as George thought and it was his imagination making the dragon more terrible than he thought.